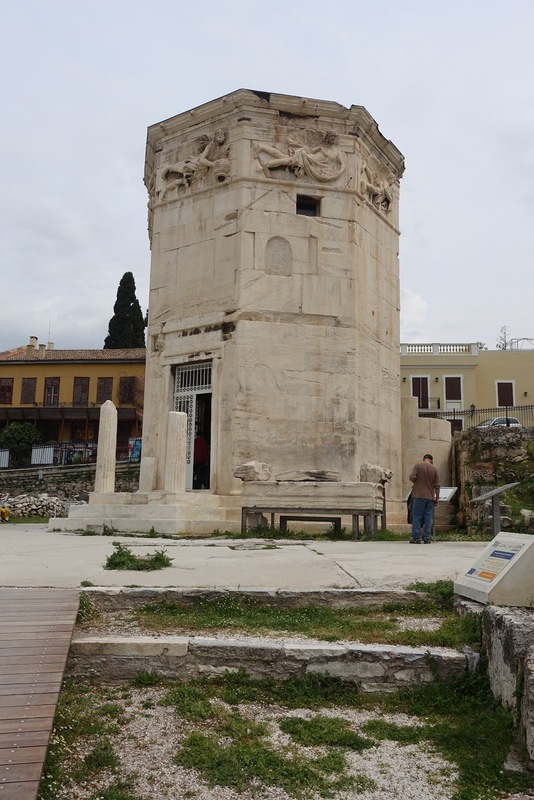 The recently restored Tower of the Winds in the Roman Agora of Athens is an octagonal marble clock tower. 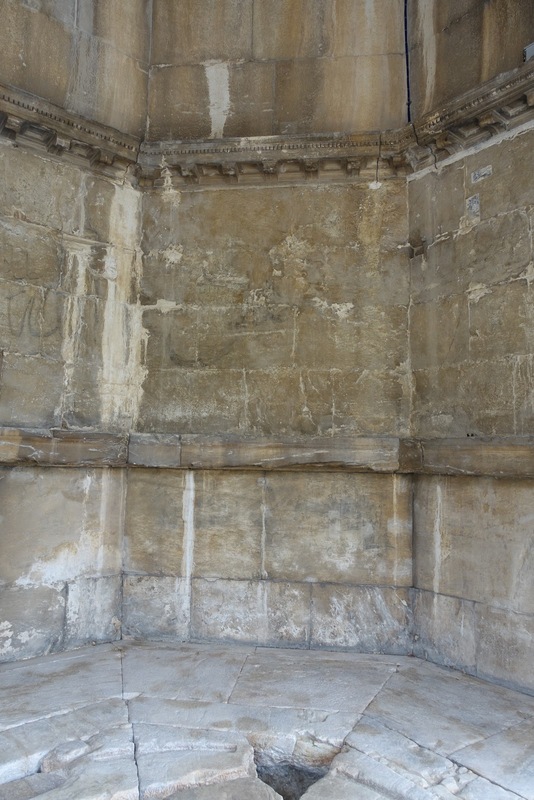 It features a combination of sundials, a water clock, and a wind vane and is reputed to have been built by Andronicus of Cyrrhus around 50 BC. 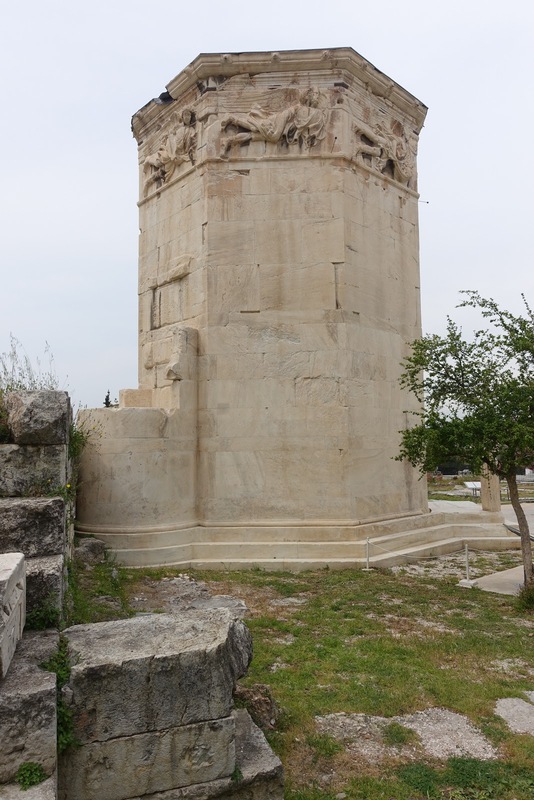 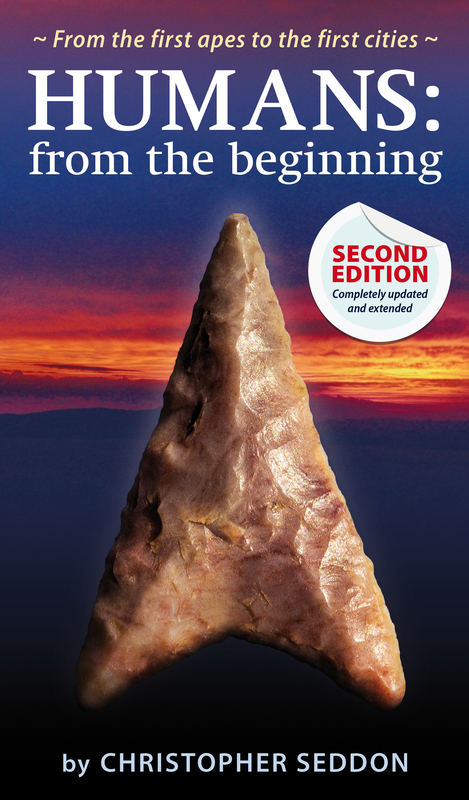 However, it might date to as early as the second century BC, predating the rest of the agora.